The success in the UPSC exam depends not on the volume of study. Rather it depends on studying only the needs of the exam. Toppers have achieved mainly on the basis of their choice of material. Choosing the right material, would reduce the wastage of time in the preparation. 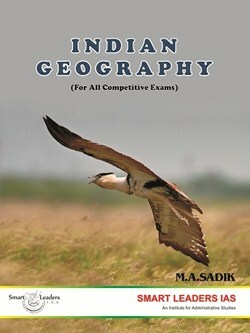 This material along with ATLAS would help a student to learn Indian geography and master it, as per the needs of the exam. Care has been taken to avoid mistakes and errors in the book. If you wish us to add some more topics for you, do contact us. You are welcome to give your valuable suggestions to us. I take this opportunity to wish you all for your success in this exam and happiness in life.